Looking For Alternative Health Service Provider? I help bring relief when you are struggling through difficult times, especially when you are in physical or emotional pain. 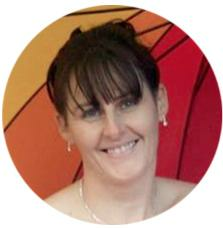 I specialise in helping people with autoimmune diseases and other illnesses that cause pain including fibromyalga and arthritis. I have a range of methods learnt over many years to help you including Hypnotherapy, Past Life Regression, Reflexology incorporating the ionic foot spa, Reiki/Seichem Healing, Genome Therapy and counselling. I do this by connecting to you face-to-face in a one-on-one setting in Mitcham, group learning with like minded people in Mitcham, or over the internet in the privacy of your home. Whichever way you choose, I will enable you to develop the skills and tools to discover your own inner power to heal.